MusclePharmT-shirtsuper soft poly-cotton tee is key for looking unrelenting in the gym and the streets. Made with the comfort and style only MusclePharm Sportswear can provide. I am so happy that I am able to review this awesome T-Shirt by Musclepharm. First of all the design of the T-shirt really caught my eye, “BEAST MODE”, WEAK END HERE and many more! The cotton is slightly stretchable; Material is not too thick suitable for Asian country like us in Singapore. Good to use for bodybuilding, running, cross fit or any kind of sports! It can also be worn when you are out as it is fashionable as well! Best of all It doesn’t stinks up after you a hard sweaty workout! After a few wash the shape of the t-shirt still remains. Not much expanding of the t-shirt. *2 thumbs up! 9/10 flashy design, good quality material, doesn’t stinks up. How much is the MusclePharm T-Shirt? Can we try the size? You can head down to NutriFirst Showroom at blk 1015 geylang east ave 3 #04-139 S389730 to try and purchase your product. 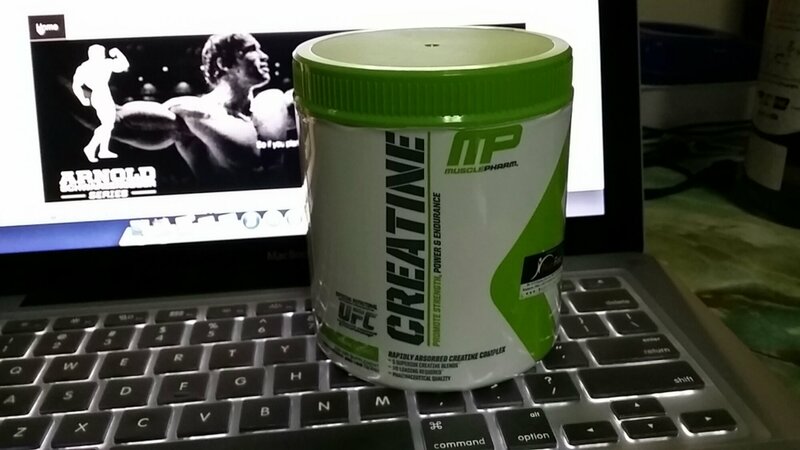 MusclePharm is the upcoming supplement brand around the world. Recently they just sign with Arnold and MusclePharm Arnold Series product will becoming out soon! read my recent review on Toa Payoh Safra Gym!